This project will provide Karratha is with a sporting hub in the western end of town to service the sports matches and community groups based in the area. Tambrey oval is the only active recreation space is Karratha where no change room/pavilion facility is provided on site for users, despite steady population growth in the Nickol, Baynton and surrounding areas over the past five years and high demand from users. 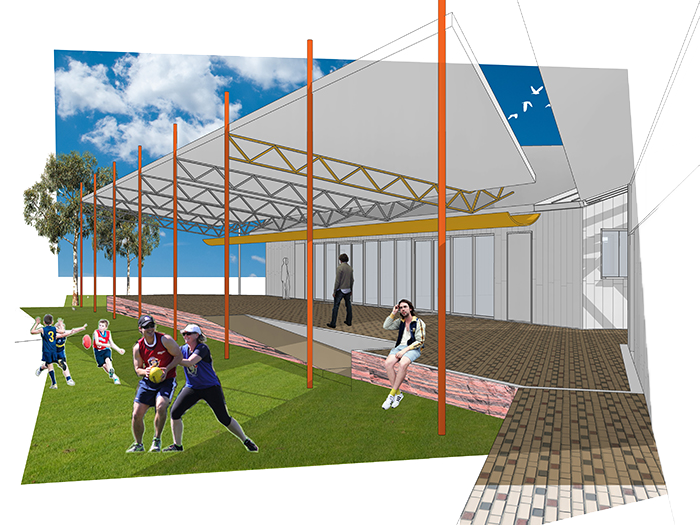 The construction of the Tambrey Pavilion will provide the same level of amenity that is afforded at the eastern end of Karratha and in surrounding towns. The City of Karratha anticipates increased participation from existing sporting clubs based at this oval and other groups including mixed martial arts, yoga, Tambrey Primary School and other community groups who have expressed interest in bookings at the future facility. The City of Karratha were successful in receiving $800,000 from the State Government through the Department of Sport and Recreation’s (DSR) Community Sporting and Recreation Facilities Fund (CSRFF) 2015/16 funding round and $200,000 from the State Government of Western Australia and Royalties for Regions. The funding will go towards the design and construction of the Tambrey Pavilion. Tambrey Pavilion - sneak peek from City of Karratha on Vimeo.